The question replayed again and again in my mind yesterday as I read The New York Times‘ front-page story about the city’s Harlem Success Academy charter chain. The article delineated in excruciating detail the Gradgrindian world of these schools, in which elementary students are known to wet themselves during practice tests (unclear if it’s the result of a no-bathroom policy or just sheer terror over yet another drill whose results will be publicly posted), sit cross-legged in carefully-prescribed postures (a teacher may be instructed to “reset your carpet expectations” when they do not), and public shaming of underperforming students the norm (one teacher reported being scolded by an administrator for failing to tear up a student’s failing paper in front of her). This is all justified, of course, by the chain’s great success in elevating test scores. According to the article, overall passing rates in the city last year for reading and math tests were 29% and 35%, respectively; the comparable figures for the Success Academy chain were 64% and 94%. First, a word about the “end.” Raising student achievement and test scores is a laudable enough “end.” But when it becomes the sole goal of education, something is terribly wrong. These are not law school graduates in their 20s preparing for a bar examination. These are young, impressionable children, learning how to navigate their way in the world. They are learning — or should be — how to be around other people, how to solve problems, how to think critically, and yes, how to master basic skills that will be useful to them later in life. The ultimate goal of any educational enterprise should be to develop a love of lifelong learning that students can take with them when they leave the classroom. Should a child who fails a test be deprived of the opportunity to learn anything that’s not on the test? Schools should be places where, as the educational philosopher Nel Noddings puts it, children feel cared for and the individual needs of all children are acknowledged and attended to. All children deserve a complete education, not a training program that treats them like circus animals who can perform well on standardized tests. It’s hardly news, but there is far more to educational “success” than high test scores. So the “end” of producing superior test-takers is, at best, questionable. But even if we accept the goal, how does that justify the “means” Success Academy uses? Would we accept it if a school used physical punishment to motivate students? If they hung children out in the stockade when they failed a test? Even if these methods routinely produced high “achievement” in terms of test scores? Of course not. So why do we accept such tactics as mandating posture, punishing students if they do not make eye contact with the teacher, posting the names of failing students in a “red zone” for all to see, merely because the school that employs them has a good track record of producing higher test scores? Is there no thought to the terrible consequences these methods may produce in the hearts and minds of these young children, consequences that may well outlive the results of any one standardized test? Is breaking a child’s spirit a pre-requisite for academic success? Like most advocates of this model, Success Academy founder Eva Moskowitz blithely dismisses criticism of the chain’s methods with the comment, “Maybe some people prefer chaos. We don’t.” So here is yet another dubious premise, and it’s the very premise upon which charter chains like Harlem Success are built: that the only antidote to “chaos” is militaristic regimentation. Much of the recent educational reform debate is based on the promotion of false dichotomies, and this is the reigning queen of them all. It dismisses any possibility of a third alternative, one that many schools over the years have used to great success. That’s the one where “discipline” isn’t imposed on students through a series of behaviorist-inspired carrots and sticks — the kind commonly used in training household pets — but where the instructional methods of teachers work toward promoting intrinsic motivation and self-directed learning. I don’t particularly like the word “chaos:” I’ve seen classrooms that to the casual observer appear chaotic, but upon closer inspection reveal students deeply engaged in meaningful activity. I’ve also seen many classrooms that appear quiet and orderly, but in which very little learning is really taking place. Perhaps the most telling critique of Harlem Success Academy and its methods came in one of the more than 1700 comments that have been posted on the Times article (which has clearly struck a nerve). This particular comment was brief and to the point: “No rich person would ever send his kid to a school like this.” Charter schools like Success Academy claim to be mirroring the educational opportunities offered to students at elite prep schools, where high expectations and high achievement are intrinsic parts of the culture. But whoever wrote the comment has it exactly right. As a middle-class parent, I would never send my kids to a school like this, and I really don’t know anyone who would. In fact, the two young educators I know who did stints at Success Academy schools both left to teach at private schools — where they felt far less hamstrung by the endless canon of disciplinary rules and relished the relative freedom offered both teachers and students in these settings. Each could write a book about the differences between Success Academy and the schools at which they now teach, the very schools places like Harlem Success claim to be modeling themselves on. I don’t doubt that strict regimentation works well for some students. But current educational policy too often deems the model of places like Harlem Success Academy as the ideal blueprint for fixing what’s wrong with our public schools. I hope the Times’ story leads to some serious debate about whether this model really is in the best interests of the overall pool of students from which it draws. Because as a parent and an educator, I can’t help thinking that far too much of it is less meaningful education than Foucauldian nightmare. But who knows? Maybe I just need to reset my carpet expectations. I’d be interested to hear what you think. I understand your feelings about education and I wholeheartedly agree with you that we should be helping children be self-motivated and work in the real world. But much of the problem with education has to do with lack of parental involvement and the breakdown of the family unit. As strict and rigid as the Success Academies are, it is often needed; in comparing the blackboard jungles of most urban and inner city districts, especially in the the 10 largest metro areas of the US, Success schools are a major victory because of their adherence to rules and protocol. Could it be better? Yes. Should it be better? Absolutely. But it won’t and can’t if we don’t promote the critical nature of Moms and Dads in our society. In the meantime, get rid of Common Core, standardized testing, NLCB, promote school choice and home-schooling, and free up teachers to be creative and helpful–instead of being technicians. 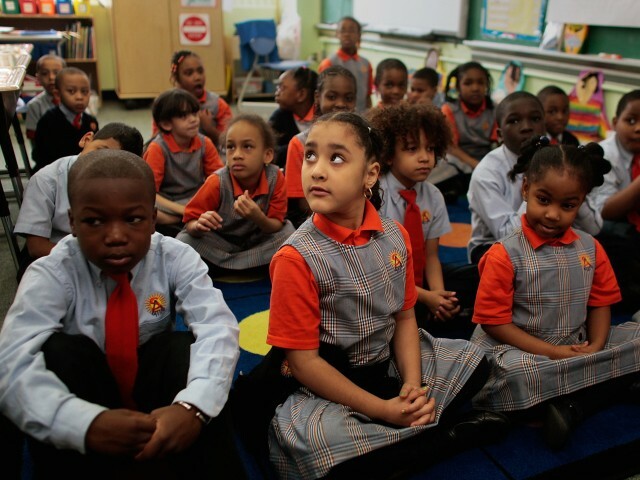 One of the central problems with current educational reform is that it is based on the dubious premise that schools alone can repair major social problems, and that a “model” school like Harlem Success Academy relieves society of the obligation to address the underlying problems (e.g., poverty) that cause children to fail in the first place. I suggest you read Jean Anyon’s excellent 1996 book, Ghetto Schooling, which describes in detail the futility of looking at schools in isolation from the communities in which they exist. It’s nice to think that a little “discipline” and rigidity are quick fixes, but they’re not. Real educational reform requires a parallel effort of community reform, empowerment, and economic opportunity. © 2015 Ellen Livingston. All rights reserved.